When it comes to building safety management, protecting lives is top priority. Property managers are responsible for ensuring adequate life safety equipment is in place and that it is kept in proper working order, ready to perform if needed. While most building managers understand their obligation to install fire protection equipment and systems on their premises, our technicians across Australia and New Zealand find that service and maintenance requirements are often overlooked or not fully understood. If a fire occurs, working fire protection systems can mean the difference between a minor fire and a devastating blaze. If you’re a building owner or manager, you must ensure each fire safety installation in your building is serviced and maintained at regular intervals by an appropriately qualified person. There are strict requirements for the servicing of fire suppression systems. In New Zealand, the Building Act 2004 states that all buildings containing life safety features such as automatic sprinkler systems, emergency warning systems as well as lifts, escalators or air conditioning systems, are required to complete a building warrant of fitness (BWOF). A BWOF is an important part of a building’s safety measures and verifies that all specified systems are in proper working order. The Australian Standard AS1851-2005 – Maintenance of fire protection systems and equipment – recommends that fire protection systems are regularly inspected to help keep them in working order so that they can perform when required. Recent updates to AS1851 introduced the requirement for ‘baseline data’ to be provided for any fire protection systems and equipment installed. This provides a benchmark performance level for such equipment and systems that subsequent periodic servicing activities results can be compared. Requirements relating to passive fire protection have also been substantially revised. It’s almost impossible to know all local and national requirements, and regulatory audits, strict compliance codes and reporting may seem overwhelming for some building managers. However, it is important that you are aware of the experts, organisations and resources available to help you stay on top of things. If you engage a fire protection specialist, make sure you take note of who the technician is and check they are visiting your premises as required by law. Fire protection specialists use many technologies and processes to ensure a building is kept fire safe. 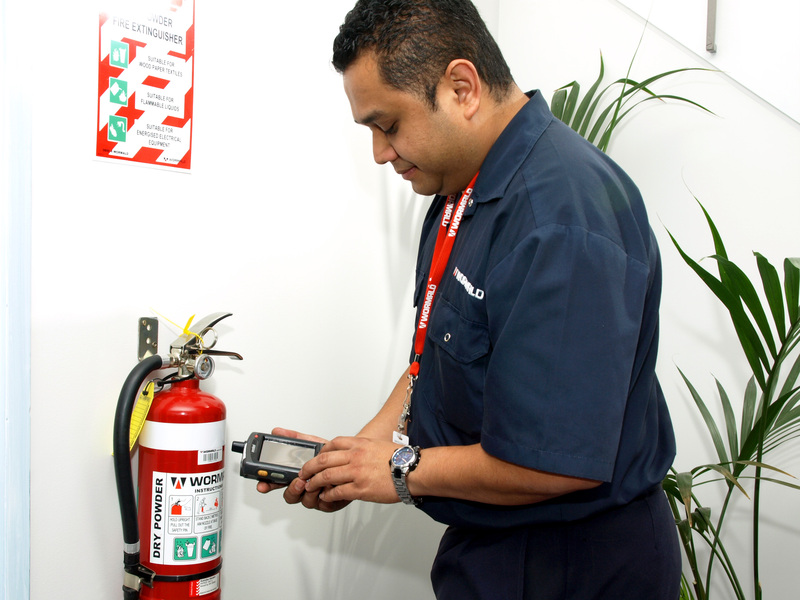 In New Zealand, Wormald maintains the fire protection systems and equipment at over 2,200 government-owned schools. The team uses a range of advanced solutions, including online scheduling and reporting systems, which offer the client transparency and an efficient reporting structure. The fire protection systems and equipment at each school are fitted with barcodes so our technicians can scan each item as it is tested. This offers live inspection reporting direct from the site to the client. While having well-maintained fire safety equipment in place is vital, it is worth noting there are many obstacles which can affect a building’s level of protection. For example, building occupants can become complacent about fire safety and they may be unaware of the fire hazards or the fire protection equipment onsite. It is important to make occupants aware of the risks and train them on what to do in the event of an emergency. For more insight into the effect of human behaviour on fire safety, read last week’s blog. This entry was posted in Maintenance & servicing and tagged fire safety, servicing, testing by wormaldblog. Bookmark the permalink.